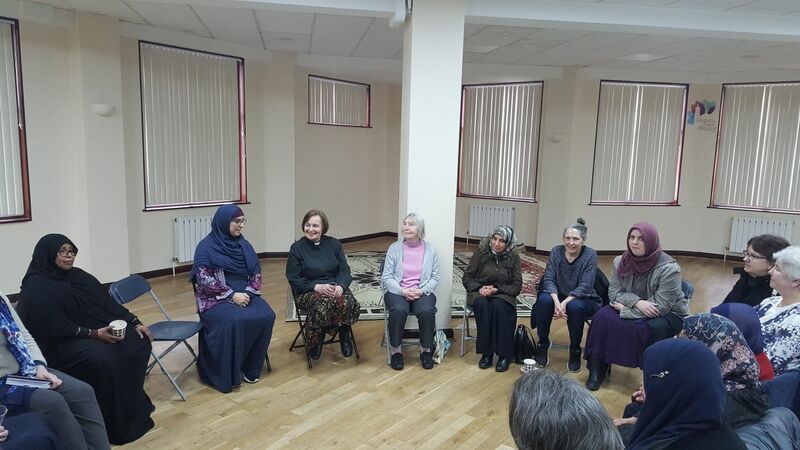 Our sisters from the Mosque invited our friends from different Churches including St Thomas’s the Apostle F P, St John, the Evangelist Upper Holloway and St Mary Stoke Newington Churches to an afternoon tea. 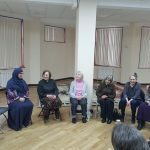 Our guest Elizabeth Chappell, the Vice Chair of the Islington Faith Forum who spoke about IFF work and the award they have been nominated for. 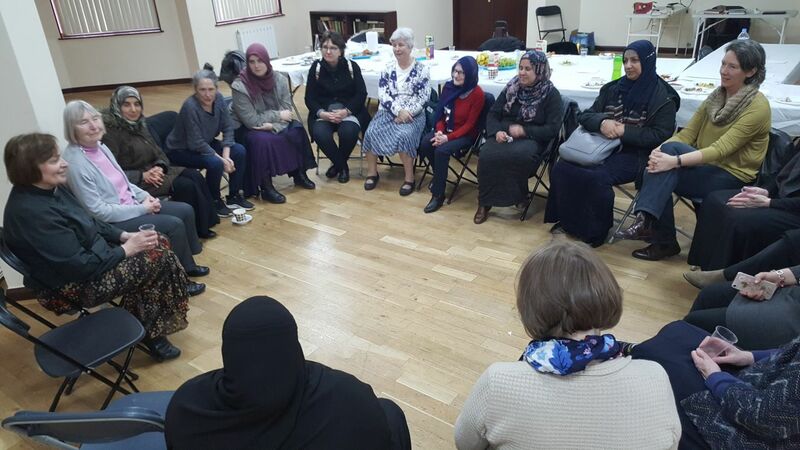 Also a lovely discussion about how Islington community standing together against hatred and division. Our guests really like the Qur’an verse banner in the car park of the Mosque about tribes and nations knowing each other. Discussion ranged from widely- impact of technology, involving teenagers in inter-generational community activity and future plans visits.